How did Syria's revolution lose its way? My House in Damascus illuminates the darker recesses not just of Syria's history and politics, but also of its society and secrets. Using her firsthand experience of Syria's many, diverse communities, it explains why Syria was always a special case and why the Assad regime was never likely to collapse. 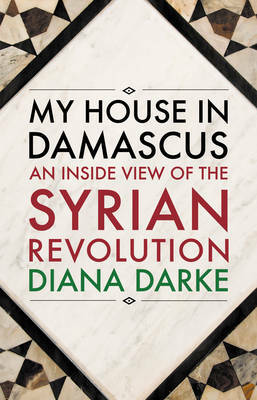 Diana Darke become deeply embedded in all levels of Syrian society when she bought and restored a house in Damascus. In September 2012, as fighting broke out, she offered her home as a sanctuary to Syrian friends. Following her experiences and struggles with the realities of life on the ground from the 1970s till the present day, the reader will arrive at his own conclusions about why Syria remains locked in conflict and why an estimated 75% of the population - the 'silent majority' - cannot side with either the repressive government and the rapidly splintering opposition.